This luxurious collection with Asfour crystal sconces, spheres and a substantial crystal centre block is available in Polished Chrome and French Gold. Each high quality crystal is mounted on the artistic framework and catches the light creating a mountain of different colours. 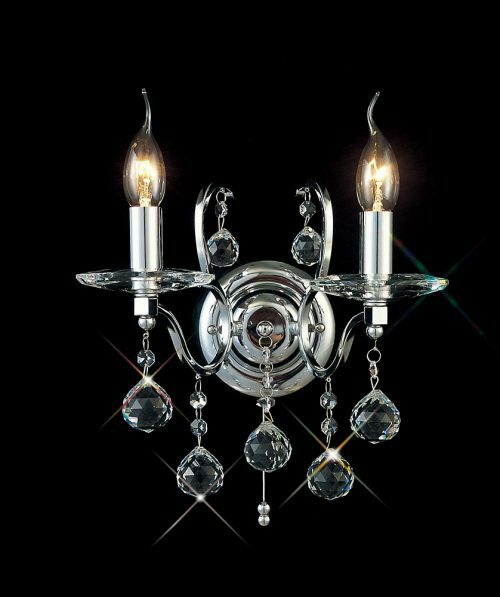 The grand 22 light 3 tier fitting is exceptional. If even more of a statement is to be made then there is also the option of clip on crystal shades.